The countdown is on to our first Babyology Baby Shower event for 2016! The excitement at Babyology is building, as we count down to this Sunday’s beautiful Baby Shower! We have so many wonderful surprises in store, and we’ve been busily preparing behind the scenes, with lots going on since you purchased your ticket. There will be even more prizes and gifts in store, so here’s a little sneak peek of what else you can expect on Sunday. Bubbaroo will be displaying their stunning range of sleep and nursery accessories, including the luxurious new Platinum range. In celebration, we’ll have five $100 Bubbaroo vouchers to give away. 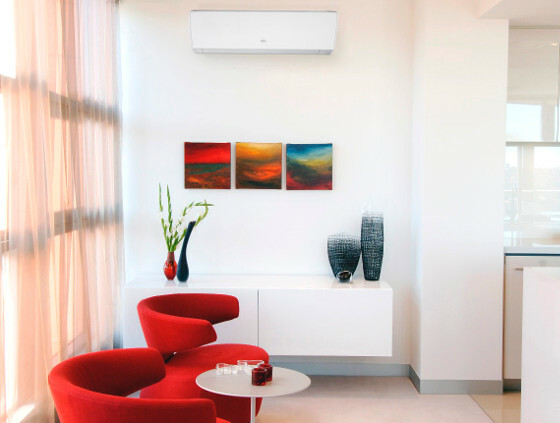 We all know just how important it is to keep a nursery at the right temperature, and we’ll be giving away a Fujitsu Lifestyle Series wall mounted air conditioner worth $1100, to help you out! The generous team at Fujitsu has also popped at offer for a pre-paid Visa card worth up to $400 into the gift bag you’ll receive on Sunday. All of our attendees will get a sample of the new BabyLove Cosifit™ nappy – the only nappy designed right here in Australia, to help prevent any of those harsh, red marks you can find at change time. But that’s not all – one lucky baby shower guest will win a three month supply of these brilliant nappies and wipes. Bonds has also joined the Baby Shower festivities and there’ll be a gorgeous Disney Zippy in everyone’s gift bags! and a $20 gift voucher from Bambella. While you’re indulging in our baby shower high tea event, make sure you get on social media and post your pictures on Instagram for the chance to win one of five KangaTraining vouchers. If you have any enquiries about your booking contact Events at the Park Hyatt on 03 9224 1207 during business hours. We absolutely cannot wait to see you at our first Babyology Baby Shower event for 2016 – it’s going to be a blast!